Lochte Feed and General Store in Fredericksburg, TX is proud to offer Fast Back Ropes made in the USA for team ropers and calf ropers. Fast Back offers both 3 and 4 strand ropes for team roping success. 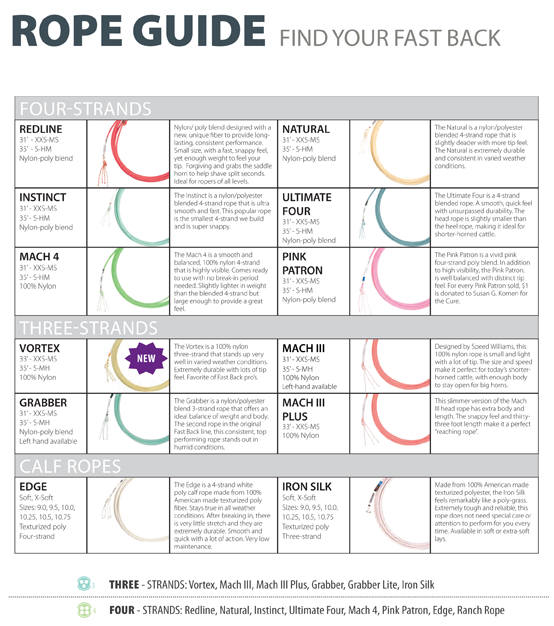 See the chart below to find the perfect rope for you. 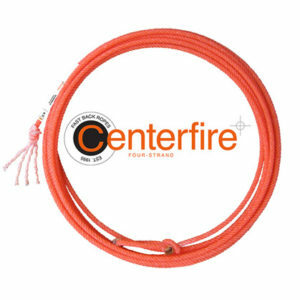 The Centerfire rope is a favorite. This rope is a vibrant orange nylon-poly blend with no bounce. The head rope is slightly smaller than the heel rope and has great tip feel and will stay put when delivered. Before you head to the arena, stop by our location to pick up a new rope to break in! We carry a variety of tack including saddles and leather care products. This entry was posted on Friday, May 12th, 2017 at 3:40 pm	and is filed under News & Updates. You can follow any responses to this entry through the RSS 2.0 feed. Both comments and pings are currently closed.